Normally this is where I start a post regaling you with some funny story about the flavor-of-the-day and the trials and tribulations of finding all the ingredients in the sea of NYC supermarkets. Lucky for you I honestly threw this recipe together because I had everything in the house. Oh, and because The Husband’s coworkers have been nagging me to make them some ice cream (Weird, they said they don’t believe that 365 exists since they’ve never tried the ice cream! The nerve!). 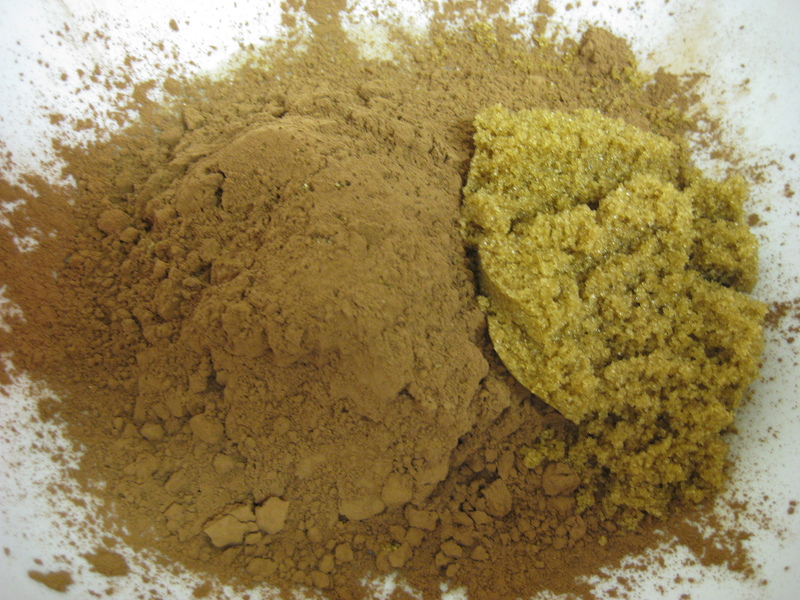 This recipe is my first sweet and salty combination and I must say, I should probably make more in the future. Mix everything together (except for the pretzels) with a hand mixer. Careful! 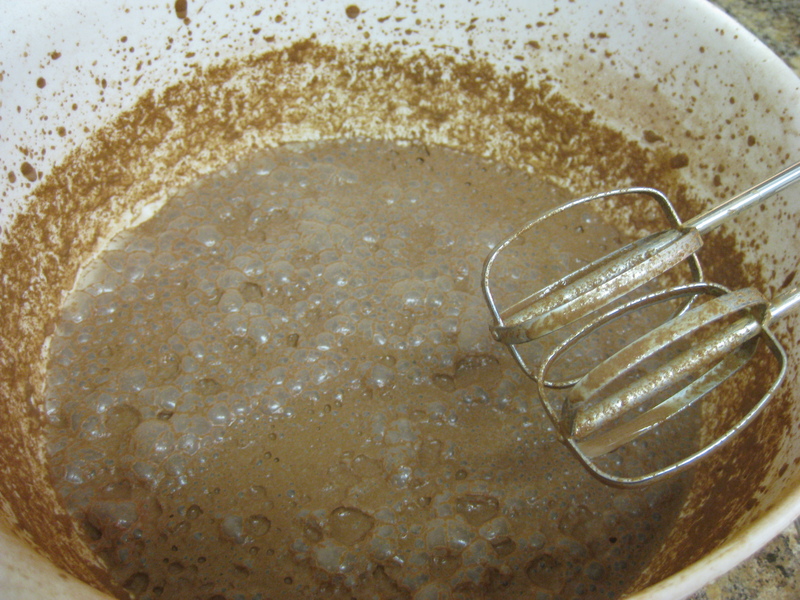 The cocoa dust gets everywhere and you’ll need to mix it for a while for everything to dissolve or else it will be grainy. If you are as big of a slob in the kitchen as I am, your counter top, floor and flour canisters will be covered in cocoa. Clean-up was not fun. 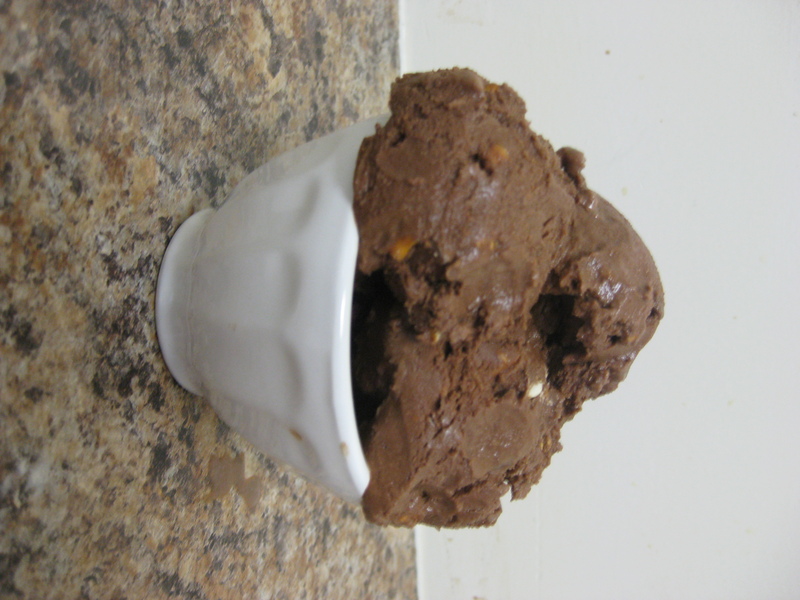 Once mixed, pour the chocolate mixture into the ice cream maker and freeze according to the manufacturer’s instructions. For me, it churned for approximately 25 minutes. 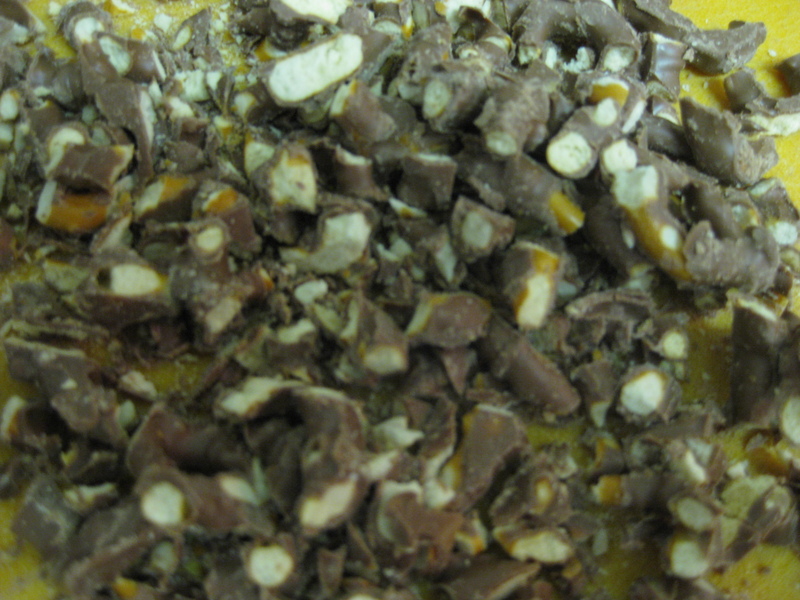 While the mixture is churning chop the chocolate covered pretzels and set aside. Once the ice cream is ready, begin by scooping a little into the bottom of the storage container, sprinkle with chocolate covered pretzels (depending on what you want your ice cream to pretzel ratio to be, you can decide how much to add). Cover with chocolate ice cream again, layer with pretzels, repeat it, mix it, and enjoy it. This ice cream was really good, but beware, it’s also very rich too! In closing, a friend suggested that I start signing off “happy licking to you all!” and I think that’s a swell idea. So, happy licking to you all! Enjoy this chocolate-y treat. Mr. Chort Face Pie & I are sad that we missed out on the chocolate ice cream with chocolate covered pretzels. Awoooo…now we need to go to NY for both a Settlers tourney AND ice cream!